The installation instructions give the exact location of where to install the fifth wheel trailer hitch for optimal towing. With an eight-foot wide fifth wheel trailer, Reese and Draw-Tite recommend a distance of 52″ from the cab of the truck to the center of the fifth wheel hitch. Because the hitch must remain in front of the rear axle, long bed full-size trucks are recommended. Any truck with a bed less than 8 feet long is considered a short bed.Starting in 2007-2008 the trailer manufacturers started designing trailers to be pulled by short bed trucks. More and more buyers of pickups were buying the club and crew cabs and did not want the long box because it makes the truck to long. 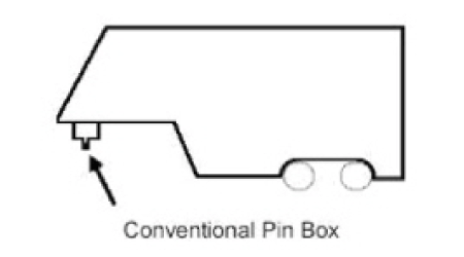 The trailer were design with extended kingpins, rounded fronts for the trailer, front design overhang to extend over the cabin turns, front trailer corners were indented to allow better turns and other changes. 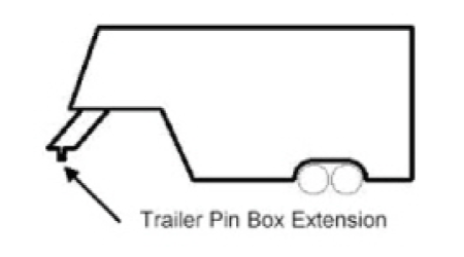 When towing a fifth wheel trailer on the highway, the trailer king pin must be between the cab of the truck and the rear axle. This makes maneuvering a trailer around a narrow camp site with a short bed truck very difficult. The slider locks in place between the cab and the rear axle for highway towing. However, when maneuvering around narrow spaces, the slider can be released, moving the hitch and therefore the king pin 10″ closer to the tailgate. The greater space between the cab and the trailer allows for greater turning clearance. When each is done properly, there is no benefit to welding the installation brackets to the frame compared to bolting the brackets. If welding is preferred, make sure a certified welder does it. In addition, check with the truck manufacturer to see if welding or drilling on the frame will void any warranty. Dodge is one of the manufacturers that have such a restriction. The universal rail kits mount to any size pickup, but the kits require drilling to mount to the truck’s frame. Installation kits are available for each truck, year, make and model that require limited or no drilling into the frame. Not only do these custom kits make finding the proper installation location easier, most applications require no drilling, reducing installation time by up to 50%. The custom rail kits will also work with both long bed and short bed trucks. Not included with the custom installation kits are the rails that the fifth wheel hitch sits on. Fifth wheel installation rails cannot be installed over plastic bed liners. The liner will eventually disintegrate and a loose hitch is the result. However, the installation rails can be installed over a spray in liner. Prior to each use, engage the jaws to make sure they operate easily. Make sure the pull pins are in the proper position, including the spring retaining pins. Periodically make sure all the hardware is securely fastened.